Hæc est victória, quæ vincit mundum, fides nostra. The Primate of All Ireland, His Grace, the Archbishop of Armagh, Dr Eamon Martin, enjoins all priests today to address the great question that very soon will be put to the people of Ireland. 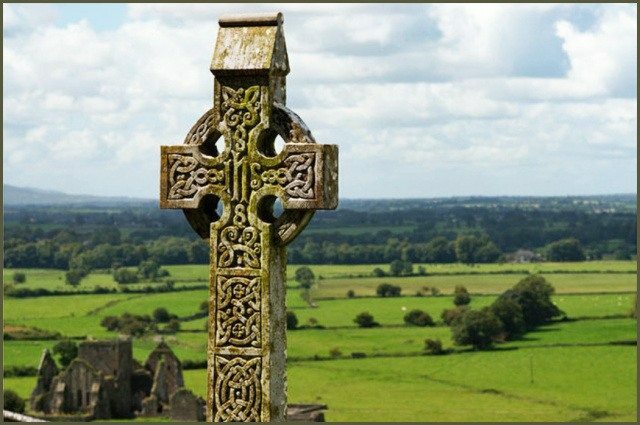 By God’s liturgical providence, a number of things converge in today’s Holy Mass to offer us, at this crossroads in Irish history, both light and truth. The stational church in Rome today is the ancient basilica of the boy martyr, Saint Pancras. Saint Pancras was a lad of fourteen (some say twelve) when, showing a manly courage, he shed his blood in the sacrifice of his life for the truth of Christ. At an age when most lads are interested in games and focused on the challenges and delights of growing up, Pancras was faced with a stark choice. Would he, in faithfulness to his Baptism, openly profess his faith in Christ or would he, intimidated and dazzled by the world, renounce his faith in Christ and sacrifice to false gods? Pancras chose Christ. He chose to remain faithful to his Baptism. He chose the truth of Christ. He chose to stake everything on Christ’s promise of eternal life, and so he went to his death valiantly, as a victor to his triumph. Ireland is still largely a nation of the baptized, that is, a nation of people “born of God”. Will the faith of Ireland’s baptized overcome the machinations of the world, of statesmen, of the media, and of those deceived into believing that by dealing death to unborn children, Ireland will somehow improve the quality of national life? Every baptized man, woman, and child is today, like Saint Pancras, equipped by God with reason, and with the light of faith to see through the sophistries of of statesmen, to unmask the shameful attempts of the media to manipulate the population, and to reverse the calculations of the dealers in death. Every baptized man, woman, and child is today, like Saint Thomas in the Gospel, invited by Christ to reach out, to touch His wounds, to probe His Sacred Heart, and to cry out, in the hearing of a people that sit in darkness, and in the shadow of death, Dominus meus et Deus meus, “My Lord and my God”. The text is from the First Epistle of Saint Peter. The Prince of the Apostles is here addressing newly-baptized Christians, of whom the boy Saint Pancras is a representative. There is no unborn child, cradled beneath his mother’s heart in that safe place so wonderfully designed by God to surround the miracle of human life and protect it, who is not, from the first moment of his existence, called by God to grow, to be born, and to taste, not only the milk of his mother’s breast but, also, the pure spiritual milk of the Word of God. The old penny Catechism answer relates to the unborn as well as to the born: “God made us to know, love, and serve Him here on earth, and by this means, to be happy with Him forever in heaven”. There has grown up among many pious Irish folk over the past thirty years a touching devotion to the Divine Mercy as revealed to Saint Faustina Kowalska. Devotion to the Divine Mercy is more than an annual feast on the Sunday following Easter; it is more than a message of hope and consolation for sin-sick souls and broken lives. It is also a summons, an urgent summons to a militant mercy, to a mercy that rises up in defense of the the weak, the vulnerable, the unwanted, and the unnamed: Ireland’s unborn children. Will the baptized of Ireland shut their eyes to the light set ablaze by Saint Patrick? Will the baptized of Ireland stop up their ears to the truth of the Gospel that he preached? Will the baptized of Ireland turn their backs to the burning and pierced Heart that once ruled over every hearth? Is the the prophet’s mournful lamentation so soon forgotten? “Jerusalem, Jerusalem, return to the Lord thy God”? It may well be Ireland’s eleventh hour, but God can, even in these last moments, give faith to the unbelieving and rekindle faith in hearts grown cold and hard. “For whatsoever is born of God, overcometh the world: and this is the victory which overcameth the world, our faith” (1 John 5:4). One last thing: tomorrow is the feast of the Annunciation, happily transferred from March 25th: the feast of the Virgin’s “yes” to life, a “yes” uttered in faith, a “yes” with cosmic and eternal consequences. On the feast of Our Lady’s “yes” to life, take up the beads to offer her the Angel’s Ave again and again. Acclaim Mary as blessed among women. Adore the fruit of her womb, Jesus. With an indomitable faith and with a hope that no earthly power can silence, ask the Mother of God to fill Ireland with the love of her maternal heart for the fruit of every woman’s womb. Do this and Ireland will be — I say it boldly — blessed among nations, and blessed will her children be from generation to generation.